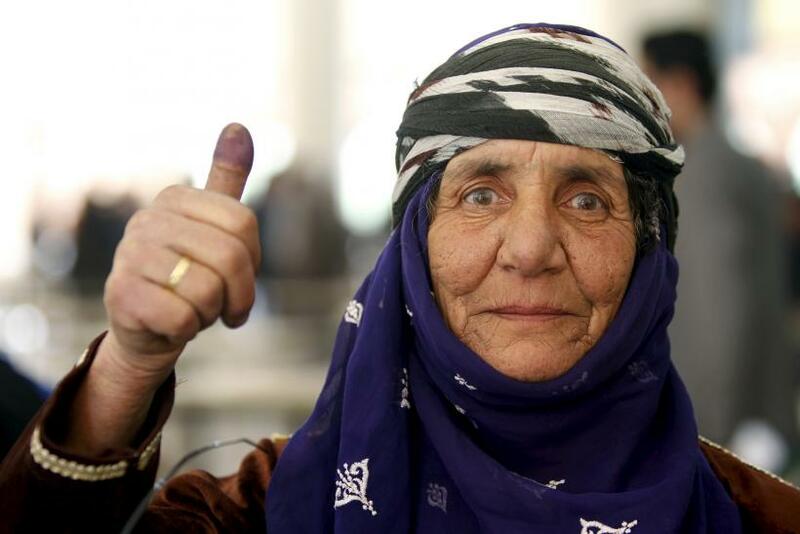 UPDATED: 2:18 p.m. EDT -- Voting hours for the Syrian parliamentary elections Wednesday were extended for an additional five hours because of such a high voter turnout. A religious leader there lauded the number of voters participating, saying that it was an indication to voters' apparent opposition to the "cruelty, terrorism and destruction” experienced in Syria's civil war. “We are seeking to rebuild Syria and preserve its legal institutions and this election is a message to all those who make ill-considered remarks and false statements about the Syrian nation everywhere,” Syrian Awqaf(Religious Endowments) Minister Mohammad Abdul-Sattar al-Sayyed told the Iranian-based Tasnim News Agency. Germany, like France, has refused to give legitimacy to Syria's elections, saying in part that the current conflict there makes it impossible to hold "free and fair elections." German Foreign Ministry spokesman Martin Schaefer went on to say that the "German government will not recognize the results of these elections." Earlier in the day a spokesperson for the French Foreign Ministry called the elections a sham, dismissing them as being "under the auspices of an oppressive regime and without international observation." Residents of regime-held areas of Syria set out for polling stations Wednesday to cast their votes in parliamentary elections under the scrutiny of armed guards. The elections were widely condemned by opponents of President Bashar Assad’s government, who lambasted the event as a sham. "They are being held without campaigning, under the auspices of an oppressive regime and without international observation," Romain Nadal, a spokesman for the French Foreign Ministry, said. None of the 3,000 candidates have taken a strong stance against Assad’s policies, and at least as many other candidates have dropped out of the race in protest. Critics of the Syrian regime argue fair elections cannot be held while millions of compatriots are unable to cast their ballots due to violence, displacement and inaccessibility of polling stations. The country has been locked in a 5-year civil war. Voting stations were not accessible in the Raqqa province, currently under control of the Islamic State group, or the Idlib province, which is held by the al Qaeda-affiliated Nusra Front. Polling stations were also closed elsewhere throughout the country in areas held by other rebel groups. Millions of Syrians have left the country, pursuing safety in neighboring countries or in Europe, while more than 6 million Syrians are internally displaced. Syrian state television showed images of Assad and his wife, Asma, casting their ballots at the Assad Library in Damascus. The decision to hold elections despite a deeply fractured nation is widely seen as an attempt by the embattled Syrian leader to offer proof of support for his presidency. In the country’s first presidential election two years ago, Assad won a landslide victory with about 90 percent of the vote. He recently told Russian journalists he would be open to holding snap presidential elections if Syrians expressed the will. At the same time, peace talks that have led to a month of decreased hostilities resumed in Geneva on Wednesday. The talks are aimed at securing a long-term ceasefire and an eventual peace agreement. The Islamic State group, also known as ISIS, and the Nusra Front are not part of the talks. "The elections at this very time send very negative messages, especially that the talks in Geneva are now focused on forming a new government, so why making Parliament elections that could be repeated soon after the formation of a new government?" a member of the Popular Front for Change and Liberation, an opposition group, said.